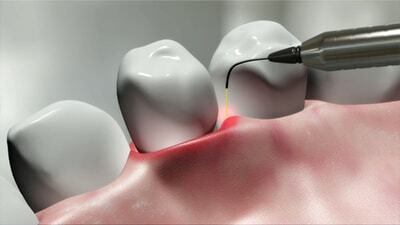 At Lux Dental, we utilize 3D imaging technology. Most dental radiographs (X-RAY images) portray a 2-dimensional image of a 3D structure. That translates to multiple layers of information being compressed into a single image. Picture yourself looking at a cheeseburger from the top down. The analogy (hypothetical, and stretching it a little), states that a traditional radiograph would provide information on the top and possibly the bottom bun of the burger, without clearly portraying what’s between the bun (the patty, cheese and hopefully onions). In surgery, it is important to know what is among the bone. Doctors cannot diagnose disease and appropriate treatment plan patients without such outcome critical information. At Lux, we realize the deficiency in most X-Ray systems, and we chose to overcome. As a result, we acquired the PreXion3D Eclipse system. We chose PreXion for its 15+ years of experience in the medical/dental fields. PreXion3D Eclipse has enhanced general versatility and provides superb image quality derived from the original PreXion3D Elite. The PreXion3D Eclipse is a true multi-modality scanner. It has allowed our team and our surgeons to perform in-office surgical implant procedures, as well as use 3D imaging for diagnosis in general dentistry, periodontics, orthodontics, and endodontics, along with planning in oral-maxillofacial surgery. This small footprint 3D CBCT scanner reconstructs images to industry-standard DICOM format for compatibility with a variety of 3rd party surgical implant planning software packages. Such universality has permitted Lux and its surgeons to communicate with healthcare providers nationally and internationally. The comparative advantage is critical, as a large segment of our patients are derived from an international base. Technology is a driving factor in improving the quality of care, patient comfort, diagnosis and treatment abilities. We are committed to acquiring the latest in clinically proven systems. Your health is of the utmost concern to us, and we will stand by our commitment to provide you with the highest standards of care. 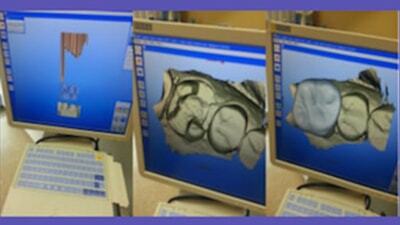 Now, CAD-CAM, more commonly referred to as “3D printing” is commonplace through Lux Dental. It has been a part of our reality for over half a decade. Dr. Abdul has leveraged 3D printing to provide highly complex and instantaneous treatment to those who demand it. As a leader in its field, Dr. Abdul has trained clinicians at Lux, nationally and internationally on the didactic as well as the theory of 3D printing in Dental Medicine. He and his team are experts in CAD-CAM. 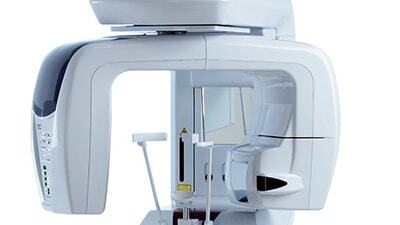 The CAD-CAM system employed by Lux is “CEREC”. It offers patients restorations in one visit- “with all common materials”. Sirona, the manufacturer of CEREC emphasizes “efficiency, greater value creation, and safety” as the comparative and competitive merits of 3D printing. With our 6 CEREC platforms, across all locations, CEREC has made it possible for us to deliver exceptional care 7 days a week. For our patients, “CEREC – no matter what material – stands for speed and a comfortable treatment without impression tray, without annoying provisional” and with only one injection, sometimes. Our most memorable CEREC experience involves a wedding day disaster. The bride had fallen the morning of her wedding. Her front tooth was fractured. She came in with half her front tooth in hand. She was devastated. Through CEREC, we “glued” the missing piece of her tooth digitally. Dr. Abdul performed an emergency endodontic treatment and then printed the “perfect” tooth mimicking the digitally compiled image. Our bride walked out of Lux with the smile she had the morning before the accident. CEREC has helped preserve, improve and protect smiles. Just know that we are here with the best for you when you need it most. Dr. Abdul studied advanced graduate physics at the University of Massachusetts Boston where he first interacted with high power Lasers. In the late nineties, as a graduate student, he concluded that Laser Technology was not effective and efficient for dentistry of that day. This reality has changed drastically. Over half a decade ago, laser systems have become miniaturized, but powerful enough for certain dental procedures. At Lux, we found lasers most effective as a tool in soft tissue surgeries. The market is composed of a variety of systems. We have selected a laser that is versatile, effective and outcome driven. “AMD LASERS” has helped us equip every Lux center around Massachusetts with the Picasso line of affordable, high-quality, and innovative designed dental lasers. What encourages us about AMD is its solid commitment to research and development in a combined effort to seek out the talent and technology to continue providing revolutionary dental lasers at affordable price points. We are committed to continuing our interest in the utilization of lasers. Expeditious, effective and outcome-based medicine will continue to drive Lux towards a higher standard of care.